Creativity is a perfect combination of beauty with function and usability. Creative web design Dakshasoft is explained Digital environment that builds an identity that not only impresses website visitors , but goes beyond to create an instantaneous and effective emotional bond with your audience. Your company should be unique both in fact and in appearance especially in an industry where differentiation is hardly noticeable. We as a web development company in India specialize in HTML and XHTML conversion. 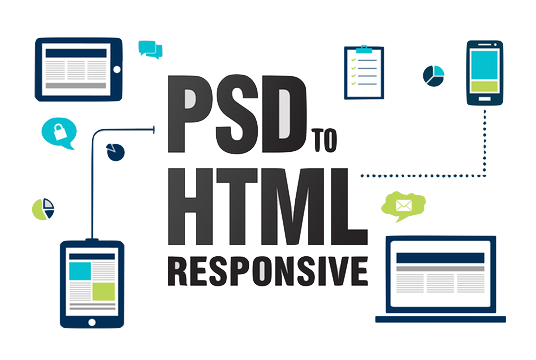 We can convert PSD 2 XHTML and HTML. Our experienced team having expertise in the field can covert the formats into cross-browser W3C Valid XHTML / CSS markup. The marks up specifications that we support are W3C Valid XHTML 1.0 Strict, W3C Valid XHTML 1.0 Transitional and W3C Valid HTML 4.01. The design of a site plays important role in the process of website creation. The visual aspects of any site attract the user immediately and lure them to search the site. We are Website Re-Designing Service Company in India that convey your image and truly represent you, your mission, your vision and your enterprise. We specialize in custom Redesigned web sites to reflect your services and the quality of your business. Our team determines your current needs and creates a website Redesign to showcase your products and services online. Strategic design is the fusion of your organizational goals with every aspect of your design process. You are not simply designing a user interface that looks good and is usable and accessible. You’re designing an interface that will help you accomplish your organization’s objectives.